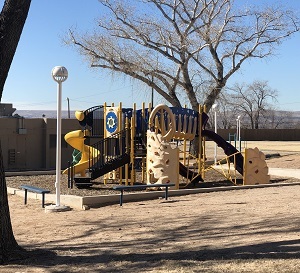 Our Children’s Psychiatric Center is New Mexico’s only facility of its kind. We treat adolescents through age 17, providing intensive behavioral and mental health. Our 35-bed family centered unit is equipped for our patients and their families to receive inpatient, residential or partial hospitalization (day) programs at our facility. Our doctors, nurses and support staff work collaboratively to ensure that our patients and their families receive the best possible care. 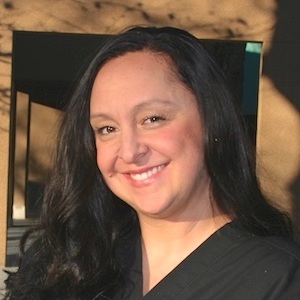 Meet Melani, an RN who has been working at the Children’s Psychiatric Center for over 5 years. Hear what a day in the life is like for an RN at the CPC and what she loves about her job! Tell us about the Children’s Psychiatric Center and your role as an RN. CPC is a safe and therapeutic environment where children ages 5-17 come when experiencing a behavioral health crisis. We support our patients by teaching them coping skills to better understand and manage their feelings, thoughts, and behaviors. Our goal is to guide, support, stabilize, and help motivate them to better understand their feelings, responses, and relationships with others. 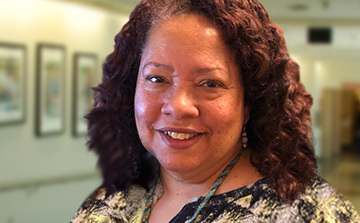 My role as an RN is to work closely with my amazing team of doctors, therapists, mental health techs, teachers, and social workers to provide stabilization and a safe and healing environment. 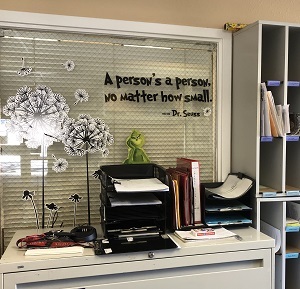 Why did you choose to work at the Children’s Psychiatric Center at UNMH? From a young age, I remember wanting to work at UNMH, and I have always had a passion for working with children. I struggled with anxiety and depression growing up and knew that I wanted to help children and teenagers who also struggle with mental health issues. Since UNMH is a teaching hospital, I have learned so much, and I am able to share what I have learned in guiding my patients. How is a children’s psychiatric center different from an adult center? The Children’s Psychiatric Center is unique because it is located on a beautiful campus. There are 4 cottages on 6 acres where the patients are housed during their stay. Along with teaching them coping skills, we have a state-accredited school with awesome teachers who develop general and special education plans that address each student’s unique needs. Our campus also includes play areas, volleyball & basketball courts, a running track, and a low and high element challenge course. What is your favorite aspect of the unit you work in? My coworkers! I have never in my life met such dedicated, friendly, and compassionate people. 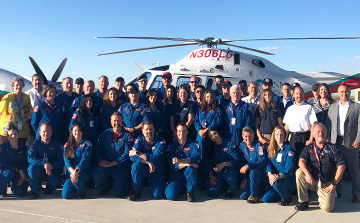 Regardless of the situations we face, we all come together as a team to do what is best and safest for our patients in order to help them succeed. I also love that we as nurses get to hang out the patients. It gives us a better understanding of the patient as a whole as well as builds trust. It also helps in figuring out exactly what works or doesn’t work for that patient’s unique behavioral, academic, and social needs. What qualifications or traits are most important to be successful on your unit? Communication is number one! It is extremely important to be a good listener and to be able to collaborate with many disciplines. Also, being mindful and compassionate is very important in being successful. It shows patients that their condition and concerns are being heard, recognized, and acted upon. When patients feel that there are people who really, genuinely care for them and are here to help them, they are more willing to let their guard down, accept the help and learn the DBT skills to move forward. 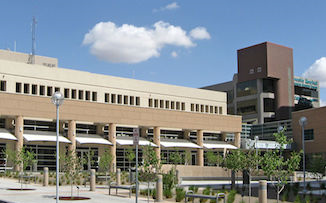 There are many opportunities in the Children’s Psychiatric Center at UNMH. Whether it’s as an RN, MD or clinical support, join us and help us make a real difference in a child’s life. Click here to explore job opportunities on our team!